This is an instrument-learning class, so your child will need a drum. Please ask your teacher about recommendations. Our semester begins in April and runs for ten weeks; the first child fee (which includes all curriculum materials) is $168; siblings $111. The Winter collection is "TOUCAN!" This Spring we'll explore the Toucan Collection, with drumming patterns from Brazil, heard on a song called "In Rio". Children will discover the fun of samba music and dancing with the song "Sambalele" - and even learn to sing in Portuguese! We'll learn to beatbox, as we dance and sing about our friends in "Bout My Friends". And, of course, we will sing, hop, and fly like Toucans over the rainforests of South America as we sing and drum along to "Two Toucans". PLEASE NOTE - your child MUST have turned 5 by the first class. IF YOUR CHILD IS ILL - please stay at home and get well! If you email musictogethervictoria@shaw.ca we'll be sure to let you know what you missed so you can continue to play at home until the next class. 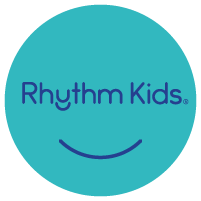 At this time we do not have make-up classes for Rhythm Kids. Copyright 2018 Music Together Victoria. All rights reserved.